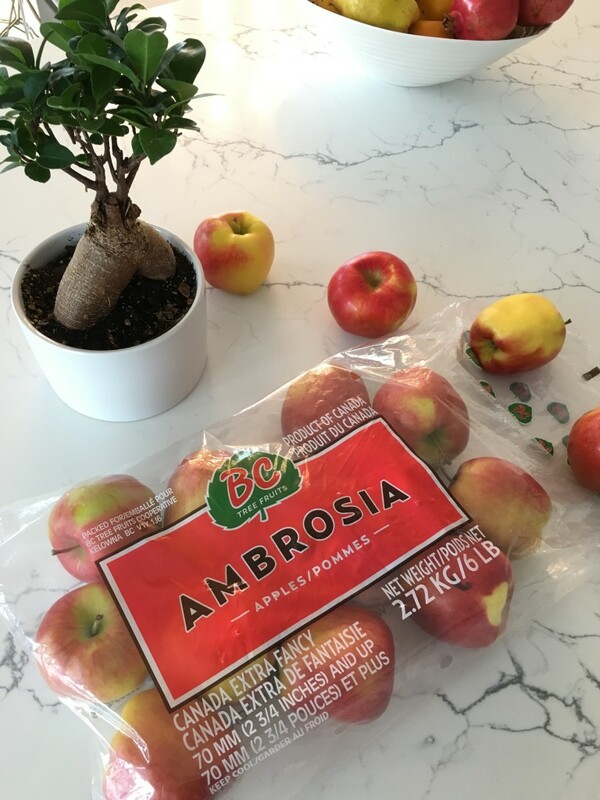 When I think fall, I think apples. 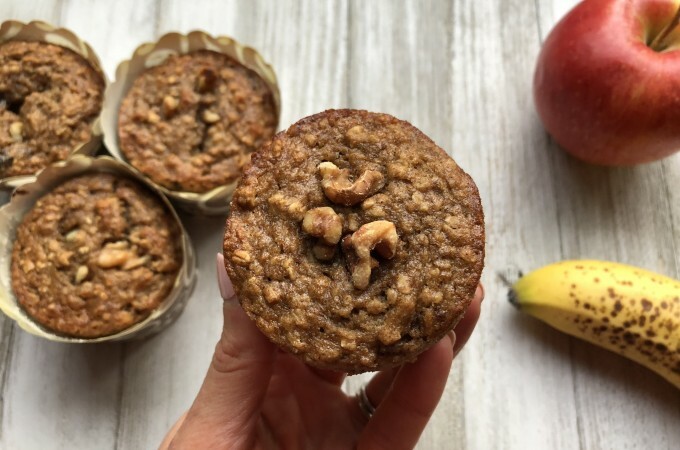 Whether it is going apple picking, drinking hot apple cider, or fall baking, apples and fall go hand-in-hand. As a kid, I always went apple picking with my family at Chudleigh’s apple farm, where we would by bags upon bags of apples. 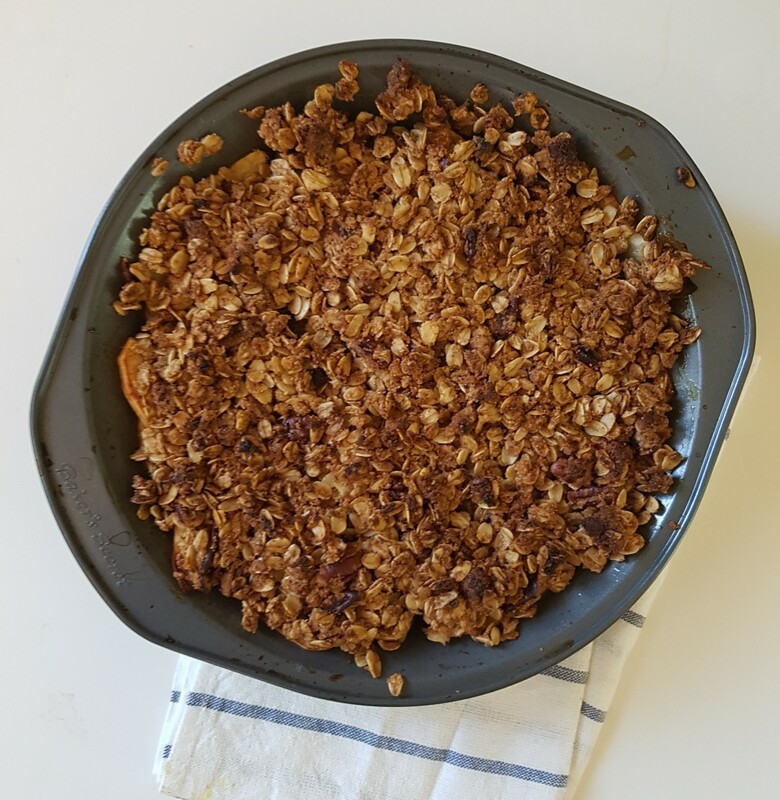 Each year we would make different recipes; apple butter, apple pie, muffins, thanksgiving stuffing, and without a doubt we always made an apple crumble. 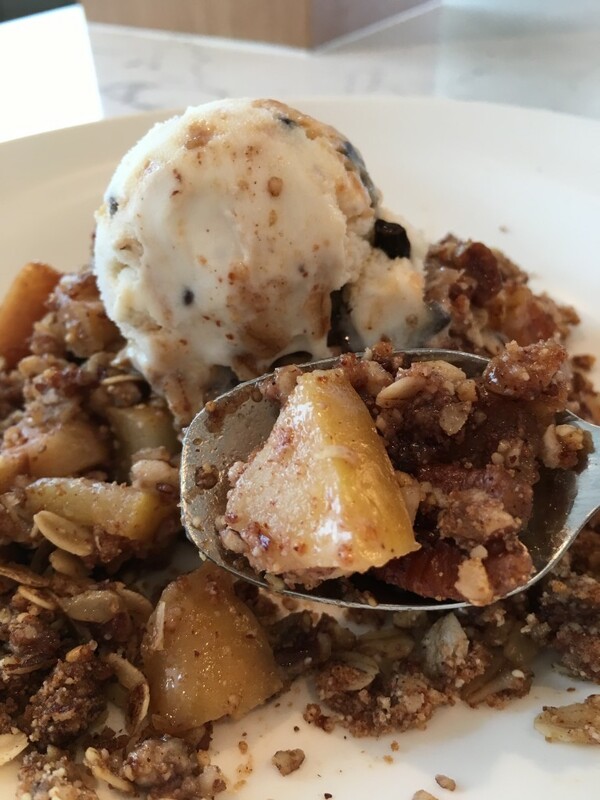 This recipe is a healthy version of an apple crumble, filled with tons of fruit, nuts, oats, while keeping the sugar low. 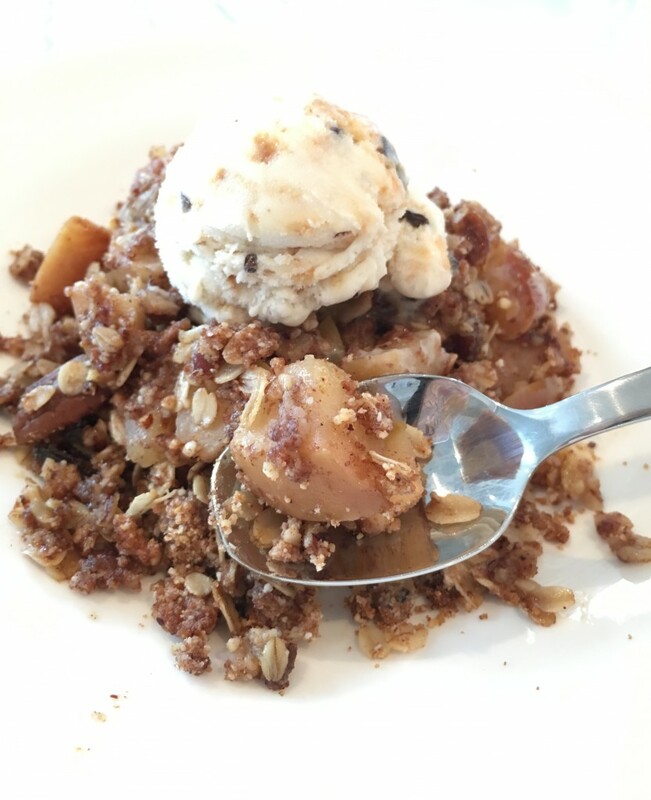 This gluten free, vegan apple crumble is an easy and flavourful fall dessert option! Preheat oven to 350 degrees F and spray a 9-inch pie plate with a natural cooking spray. 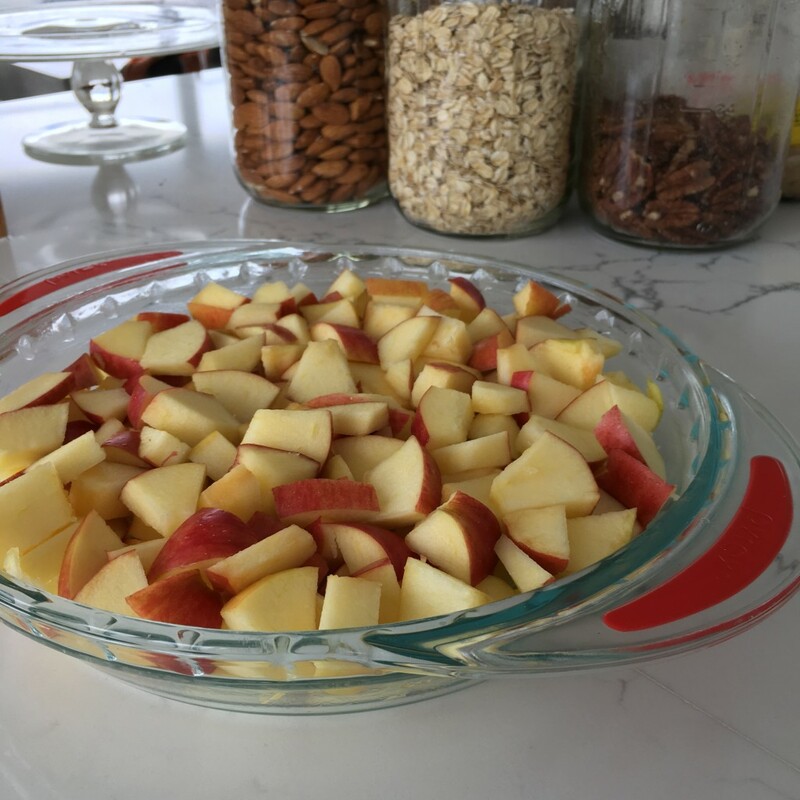 Combine sliced apples, 1 Tbs maple syrup and lemon juice in a medium bowl and transfer to pie plate. 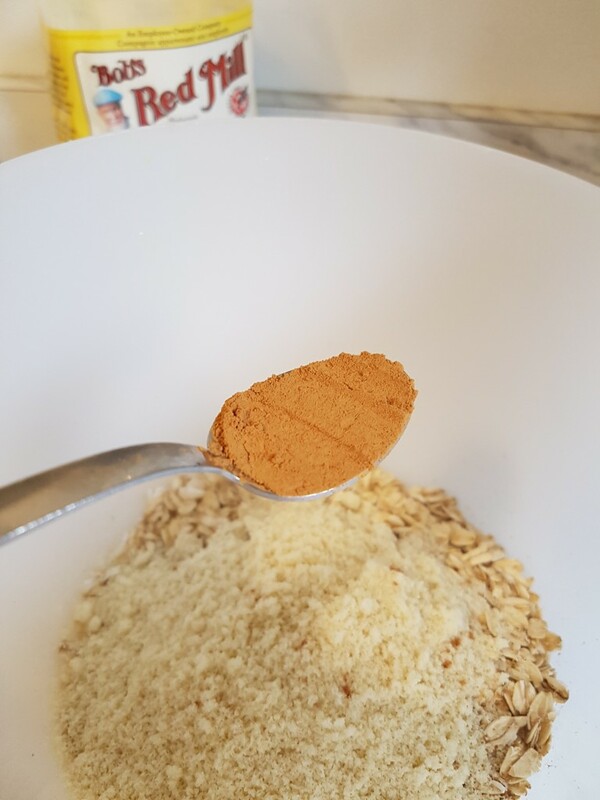 Combine oats, almond meal, pecans, brown sugar, cinnamon, nutmeg, butter, and the other Tbs of maple syrup medium bowl. 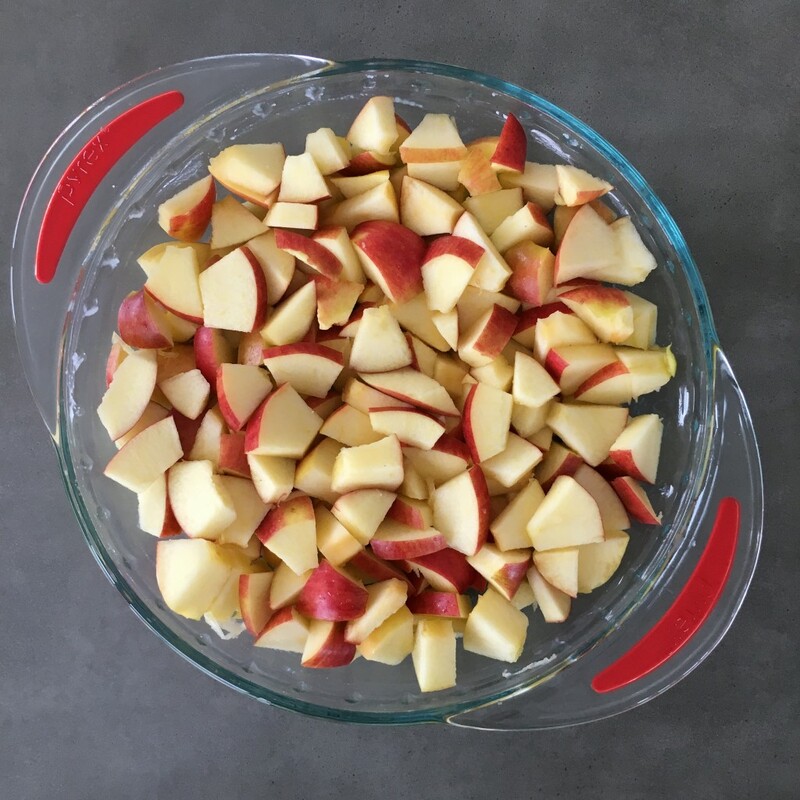 Bake for about 40 minutes and until apples are of desired softness. 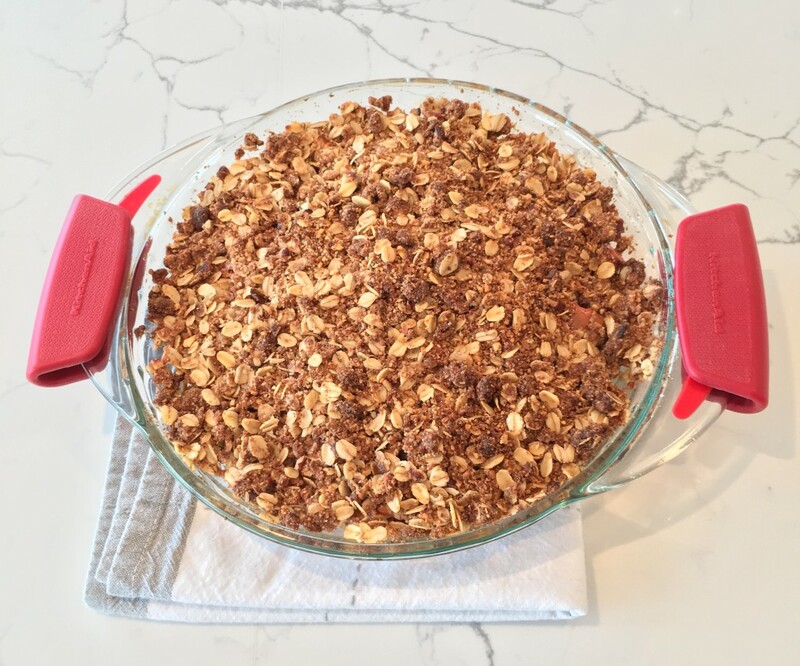 If after 40 minutes, crumble topping is browning, but apples are not soft enough- place tin foil over the crumble and bake another 5-10 minutes. Serve warm and with vanilla ice cream, yogurt, or whipped cream. 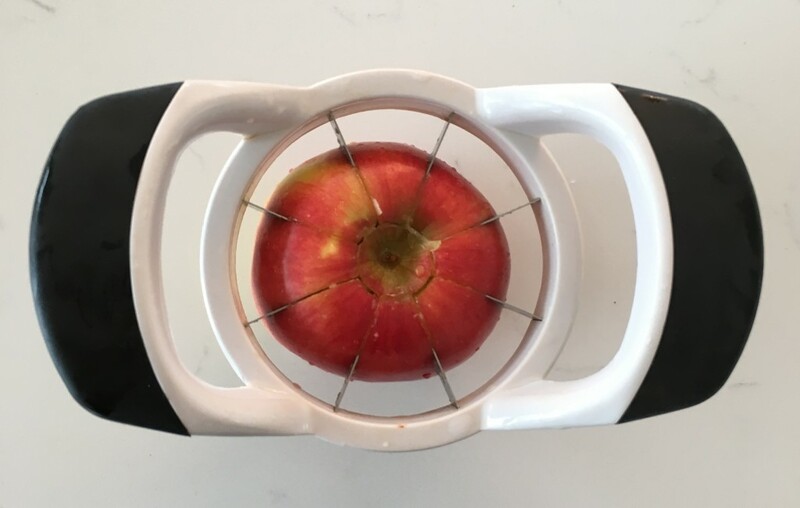 Using one of these apple slicers is such a time saver! I highly recommend buying one. 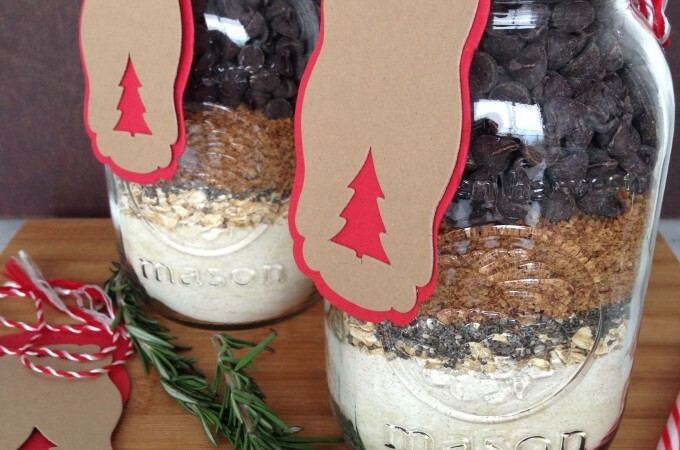 A big thank you to my UBC nutrition student Kate for helping me with this post! Hi! My name is Kate Stafford. 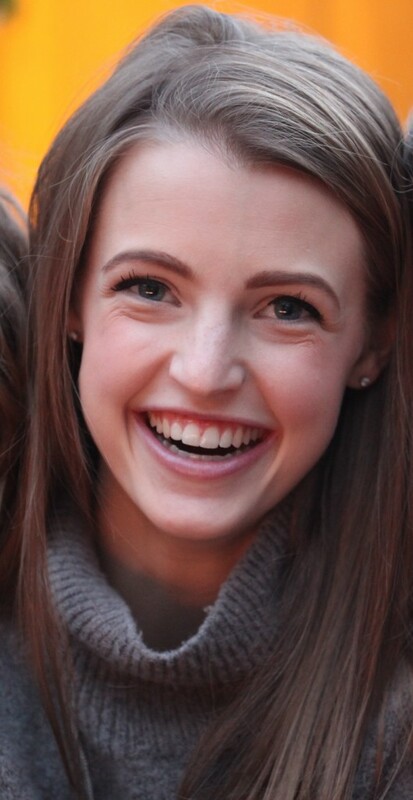 I am an aspiring dietitian, and currently a student at the University of British Columbia. I have always been super passionate about food, growing up in a family whose world was centered around the kitchen. 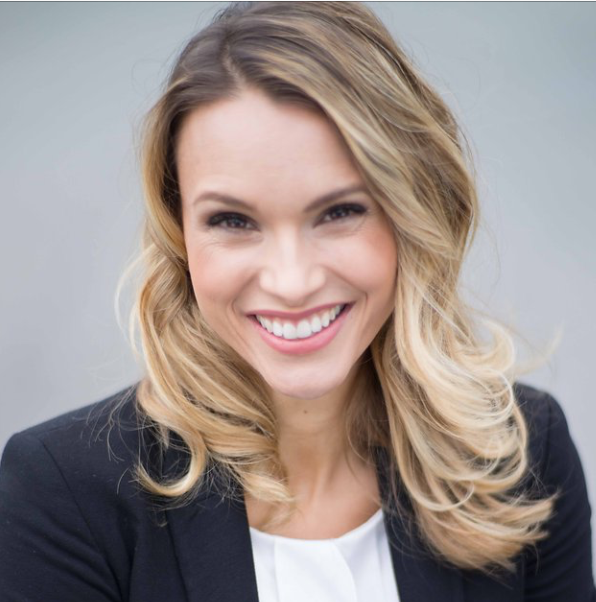 My interest in the dietetics field was sparked through my experience working as a model. I realized how many people didn’t understand nutrition, and it was there I found the support I wanted to provide for people. 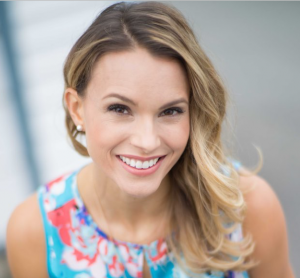 My goal as a dietitian is to inspire people to make healthy choices that allow them to get the most out of their lives and teach people how to have a loving relationship with food. Red wine and dark chocolate are my favourite; I put spinach in just about everything; and I can never get enough peanut butter. 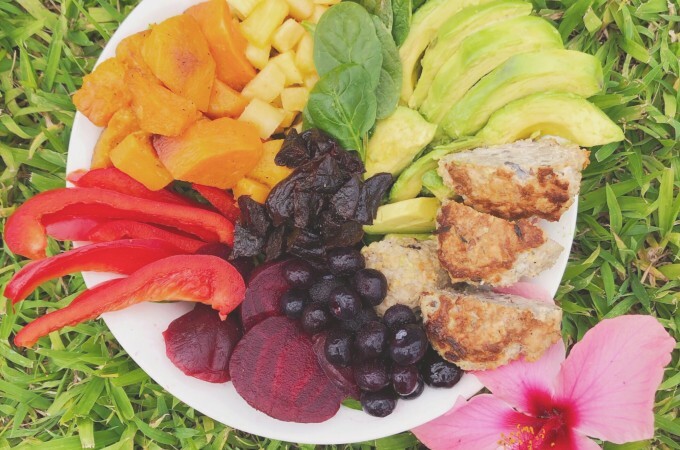 Eating is about balance, a balance that I hope to help people find.